I write down things I see, sounds I hear, and feelings I have at Stanford. This is the most precious summer I've ever had. We are quite tired of the food in Stanford Dinning house. 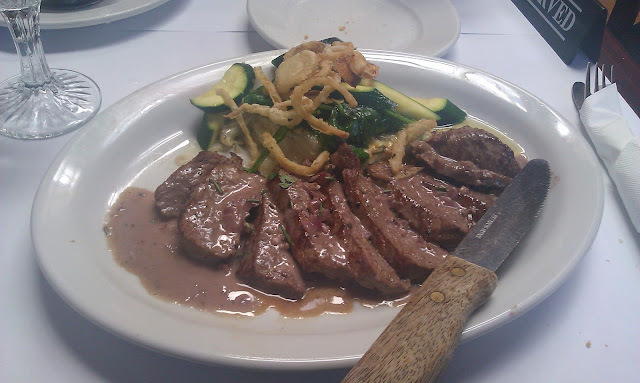 Therefore, we went to Palo Alto and have a delicious meal, steak.